Sorting is studied in this paper as an archetypal example to explore the optimizing power of consensus. In conceptualizing the consensus sort, the classical hill-climbing method of optimization is paired with the modern notion that value and fitness can be judged by data mining. Consensus sorting is a randomized sorting algorithm which is based on randomly selecting pairs of elements within an unsorted list (expressed in this paper as a permutation), and deciding whether to swap them based on appeals to a database of other permutations. The permutations in the database are all scored via some adaptive sorting metric, and the decision to swap depends on whether the database consensus suggests a better score as a result of swapping. This uninformed search process does not require the definition of the concept of sorting, but rather a depends on selecting a metric which does a good job of distinguishing a good path to the goal, a sorted list. 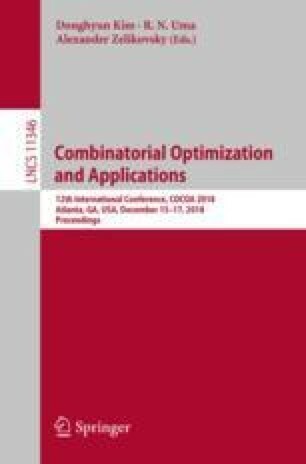 A previous paper has shown that the ability of the algorithm to converge on the goal depends strongly on the metric which is used, and analyzed the performance of the algorithm when number of inversions was used as a metric. This paper continues by analyzing the performance of a much more efficient metric, the number of cycles in the permutation.